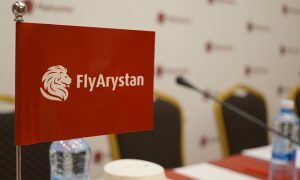 Kazakhstan’s flag carrier Air Astana has reported an operating profit of US$97.7 million in 2014, an increase of 35% over 2013 and the highest in the company’s 13 year history. Net profit fell by 62% to US$19.3 million due to a one-off revaluation of external debt of US$49 million caused by the devaluation of the Kazakh tengue by 19% in February 2014. Passenger traffic rose by 3% to 3.8 million, whilst revenue fell by 3% to $932.9 million. 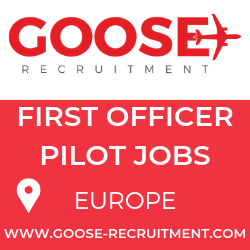 In 2014 the airline took delivery of three Airbus 320s, one Embraer 190 and two Boeing 767s, mostly replacement aircraft, resulting in an average fleet age of 5.5 years, the youngest in the region. 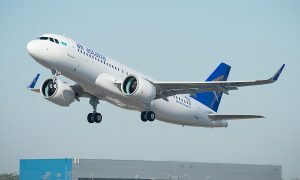 Air Astana was awarded Best Airline Central Asia and India for the third consecutive year at the Skytrax Global Awards ceremony at the Farnborough Air Show in July 2014. The airline became the 16th member of the Association of Asia Pacific Airlines at the AAPA annual general meeting held in Tokyo in November 2014. 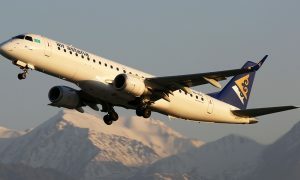 Air Astana commenced regular flight operations on 15th May 2002 and currently operates a network of 60 international and domestic routes from hubs in Astana, Almaty and Atyrau. The airline operates a fleet of 30 Boeing 767-300ER, Boeing 757-200, Airbus A320 Family and Embraer 190 aircraft. Air Astana has repeatedly passed the IATA International Safety Audit (IOSA) and is EASA part 145 certified.